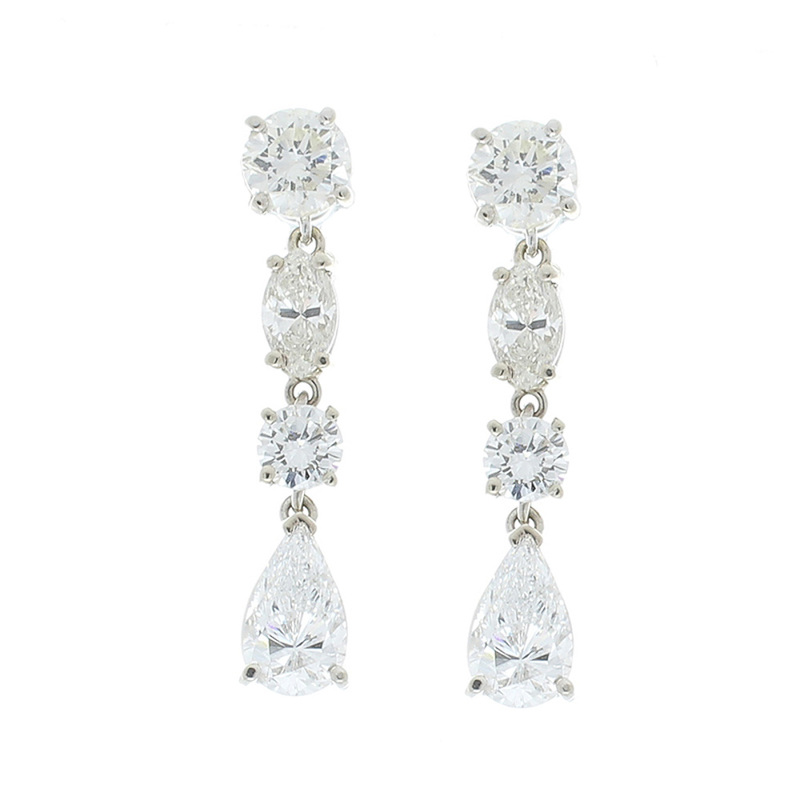 These are an incredible piece of diamond dangle earrings! 14 Karat white gold is the enduring metal that holds an attractive trio of diamond shapes. These stunning earrings feature round cut diamonds, marquise cut diamonds, and finishing with magnificent pear shape diamonds. They are cleverly crafted and boast an astounding 3.69 carat total. This luxurious pair of earrings is skillfully designed to fit comfortably and to showcase everything that is lovely about timeless and minimal design.